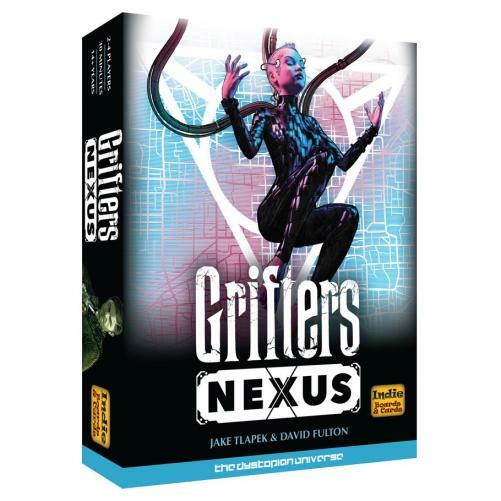 Fill in your details below and we will let you know within 24 hours if we can get Grifters Nexus to you with haste! Grifters operate on the fringes of the dystopian universe, eager to profit from the chaos caused by the resistance. Players are powerful crime bosses, building criminal organizations by carefully recruiting new specialists. The players' criminal teams will steal ISK from the government, powerful corporations, and each other. As always, money is power in The Dystopian Universe and the player with the most ISK at the end of the game is the winner. Are you devious enough to rob the corporations blind, swindle your opponents and pull off daring heists?